WASHINGTON — While troops have seen their housing stipends scaled back in recent years, dozens of military contractors running private base housing are set to receive an extra boost in their government payouts in 2019. Congress included a clause in the annual defense authorization bill (finalized by lawmakers on Aug. 1) which promises residential recapitalization efforts will not see any reduction in basic allowance for housing rates in coming months. That promise comes even as service members’ BAH payouts have been dropped to 95 percent of regional costs, potentially requiring them to cover several hundred dollars for rent or mortgage payments. The decision not to reduce the contractors’ housing funds at the same rate as rank-and-file troops will cost the Defense Department about $200 million next year alone, and more than $1 billion over the next five years. It has already drawn the ire of White House officials but is not expected to be enough to prompt the president to veto the wide-ranging defense policy bill. The $717 billion measure includes a 2.6 percent pay raise for troops and major changes to the military officer personnel system. At issue is the Military Housing Privatization Initiative established 22 years ago amid concerns that military-run residences on base had deteriorated to the point of hurting morale. 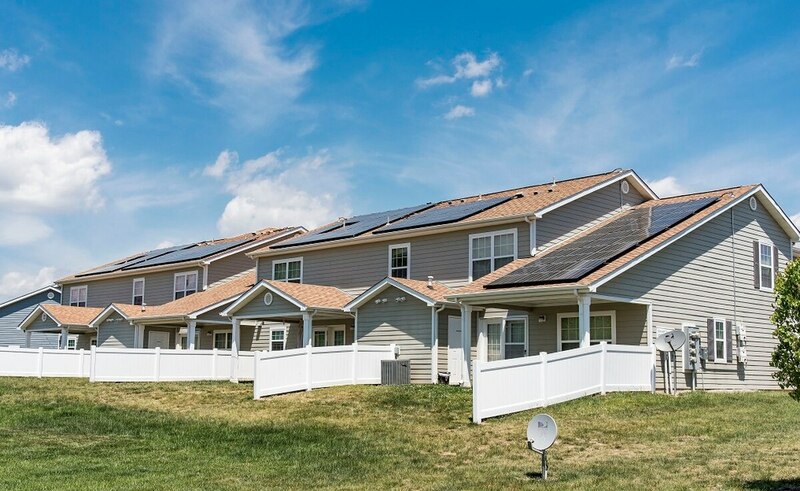 Since then, service officials have contracted on more than 80 different privatized military housing projects, most aimed at troops with families. “It was basically the military’s way to start getting out of the housing business,” said retired Air Force Col. Dan Merry, vice president of government relations at the Military Officers Association of America. Housing stipends are sent directly to those companies, based on the resident service members’ ranks and assignment location. When Pentagon leaders announced plans to “slow the growth” of housing stipends five years ago by reducing them 1 percent annually, those contractors objected, citing the unanticipated financial burden of the lost revenue. As a result of the congressional language, contractors who started base housing projects before October 2014 will continue to receive 100 percent of the BAH payout calculations, while troops in other housing will get only 95 percent. To put it another way, troops living in those base apartments or homes will cost the government 5 percent more next year than troops living elsewhere. Merry said there is also no promise that those extra funds will be used to cover additional costs for maintaining the private facilities. “The concern is that the extra money could just go right into the (contractors’) pockets,” he said. How does your housing allowance stack up? The legislation does require a report from Pentagon officials by Dec. 1 reviewing the housing privatization efforts, including “a long-range plan to … consistently address the future sustainment, recapitalization, and financial condition” of the facilities. That would include an analysis of how a future 5 percent BAH reduction could impact those contractors. Merry said he is hopeful that will provide both defense leaders and military families an honest look at the future of the base housing projects. White House officials have not said when the president will sign or reject the authorization bill.